Through a series of fictionalized diary entries, this case recounts the 1939 discovery by Marjorie Courtenay-Latimer (and identification by J.L.B. Smith) of a living coelacanth, a fish believed to be extinct for over 70 million years. 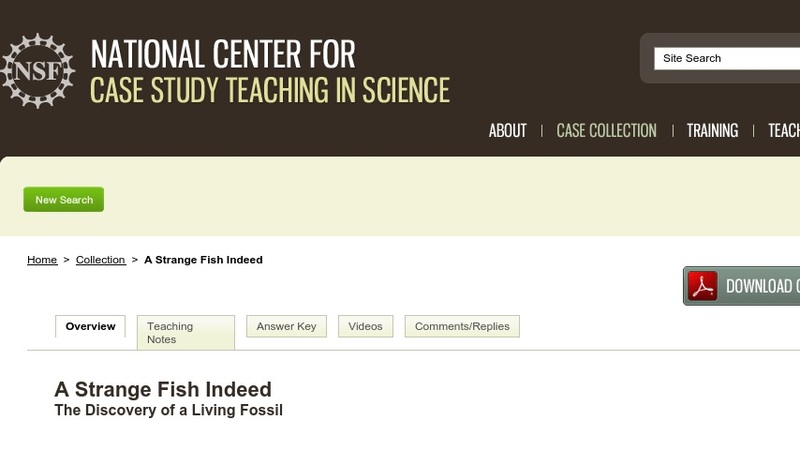 Developed for use in a freshman biology course as an introduction to the nature and methods of scientific inquiry, the case could also be modified for use in a number of upper-level biology courses such as ichthyology, evolutionary biology, and conservation ecology.